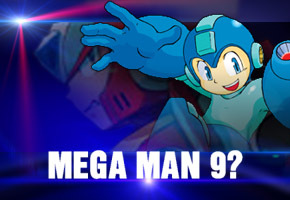 Is Mega Man 9 on the way? New OFLC registration suggests the classic, original incarnation of the Blue Bomber may be returning. Today, Capcom’s Australian Distributor Red Ant Enterprises registered with the OFLC (Office of Film & Literature Classification) the name “Mega Man 9“. Not much hard information is provided besides that; the game itself is listed as “Multi Platform”, though nothing specifies which platforms encompass this definition. Nor does it specify distribution methods – while side-scrolling games routinely find comfortable homes on handhelds like Nintendo’s DS Lite, 2D games on home consoles are generally limited to classics collections and digitally distributed software on services like Xbox Live Arcade and Playstation Network. If the listing does relate to a new Mega Man game, it will be the first title in the original Mega Man series to see release in nearly ten years, with the previous entry being Mega Man 8 on the Playstation and Sega Saturn in 1997. There was a brief spin-off related to Mega Man 8 in 1998 on the Super Famicom in Japan entitled Rockman & Forte, which was ported to the Gameboy Advance and released in America in 2003 as Mega Man & Bass. Though unlikely, this editor wonders if Mega Man 9 would flesh out the hinted plot line from one of the Mega Man arcade games where Dr. Wily invents Mega Man X’s partner Zero in order to destroy the original Mega Man once and for all. Stay tuned to TSSZ for further updates as they happen.